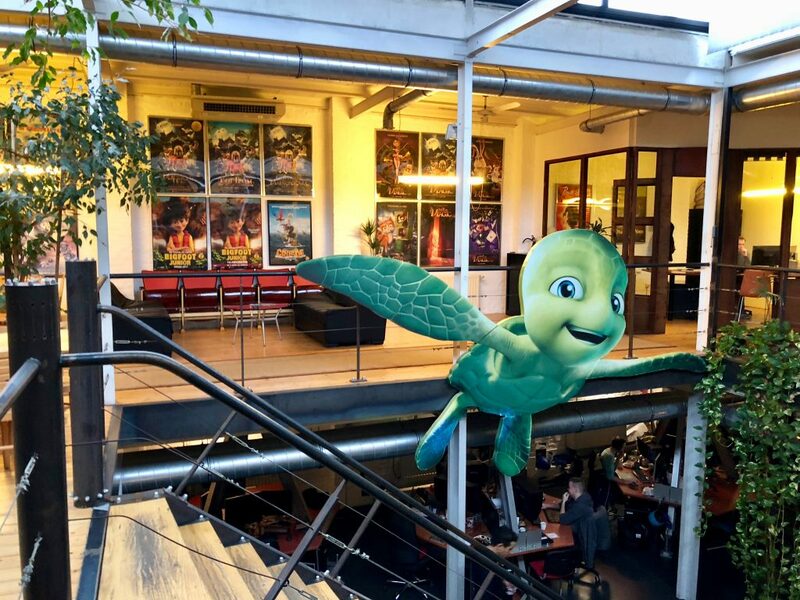 We were recently in Belgium to meet with nWave Pictures and talk about future projects. 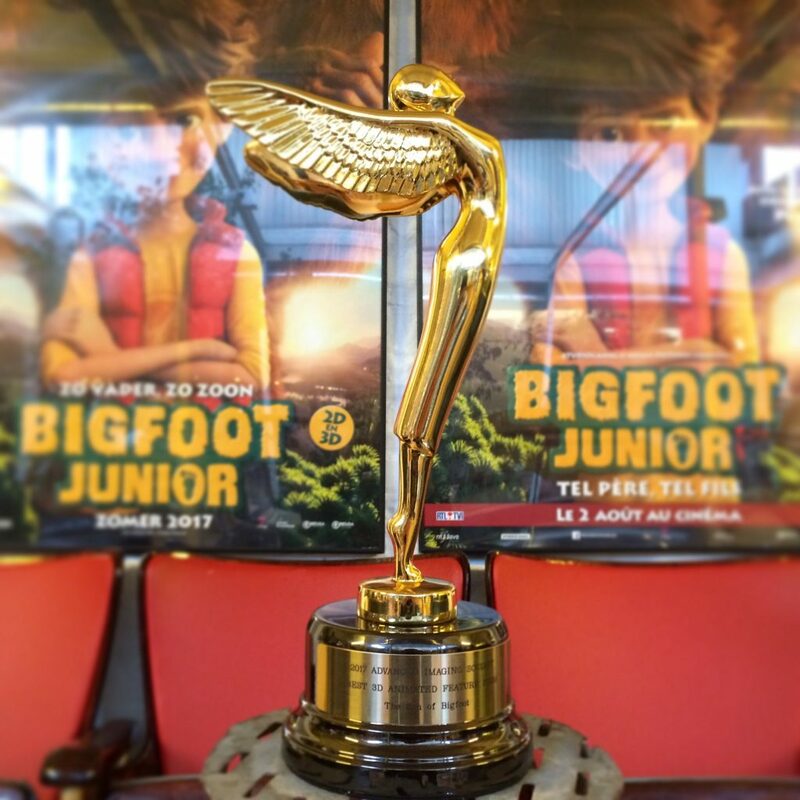 The team at nWave made Son of Bigfoot, and it was great to chat with them and see their fantastic studio in Brussels. 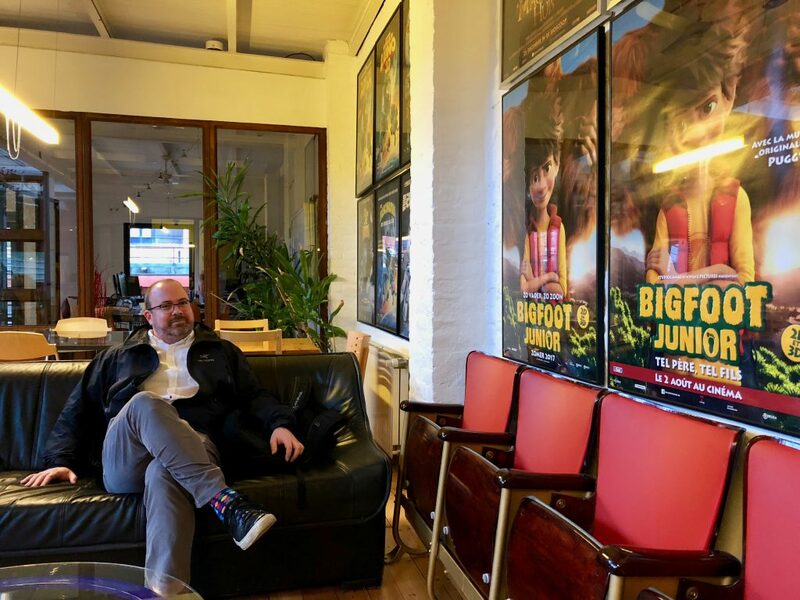 In some foreign territories, Son of Bigfoot was called Bigfoot Junior, as you can see from the posters hanging in the lobby. 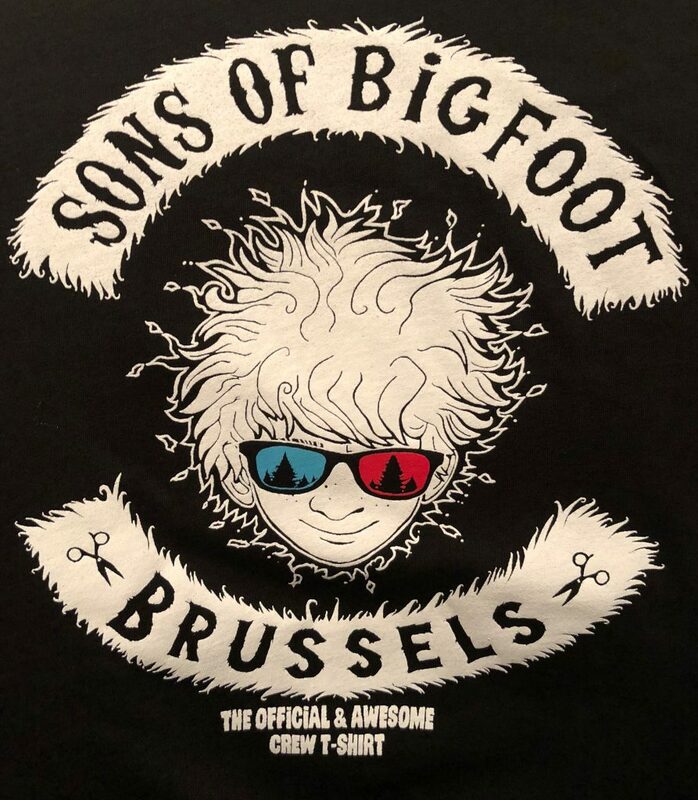 They also gave us some awesome Son of Bigfoot crew shirts! 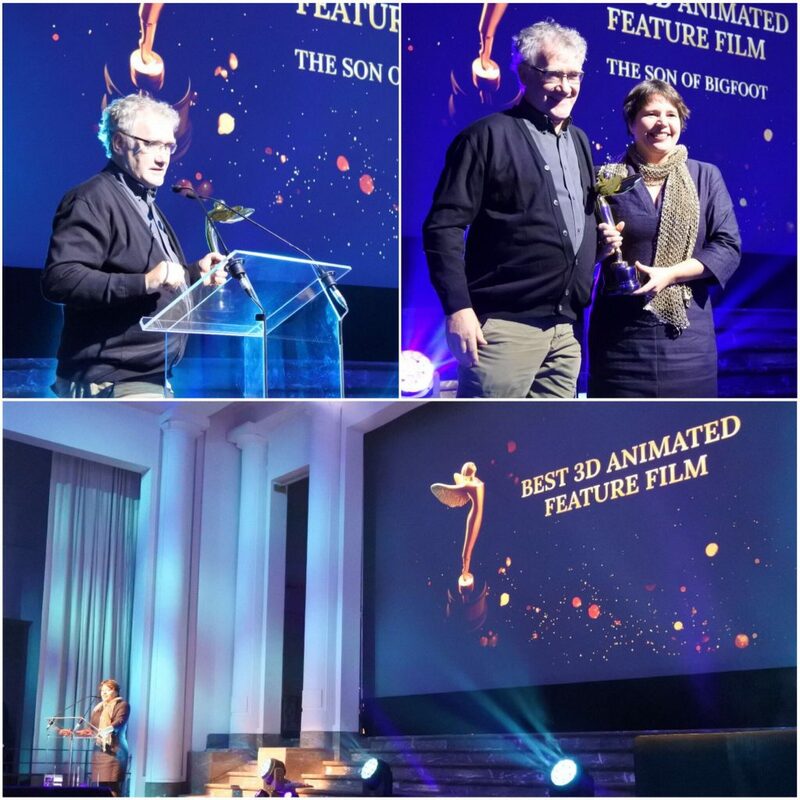 The movie we wrote, Son of Bigfoot, just won the Lumiere Award for best 3D animated feature film. 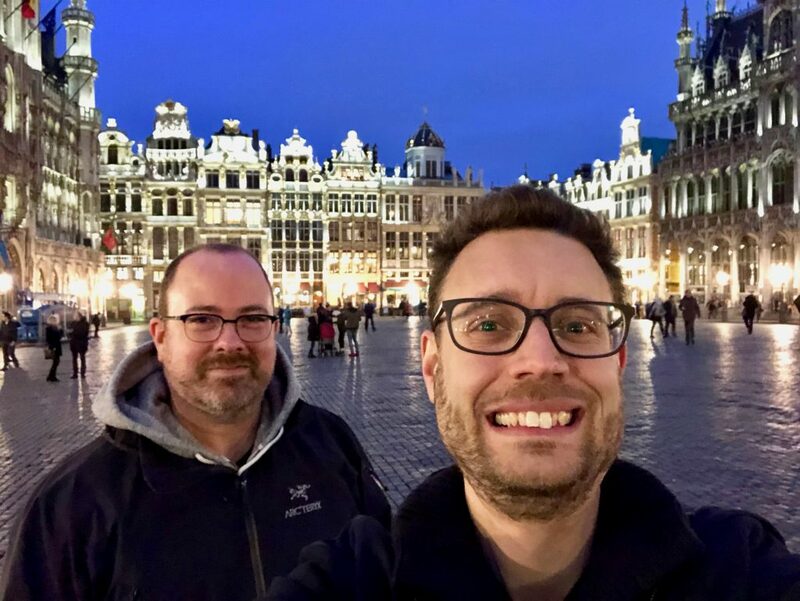 Congratulations to Ben Stassen and the team at nWave! 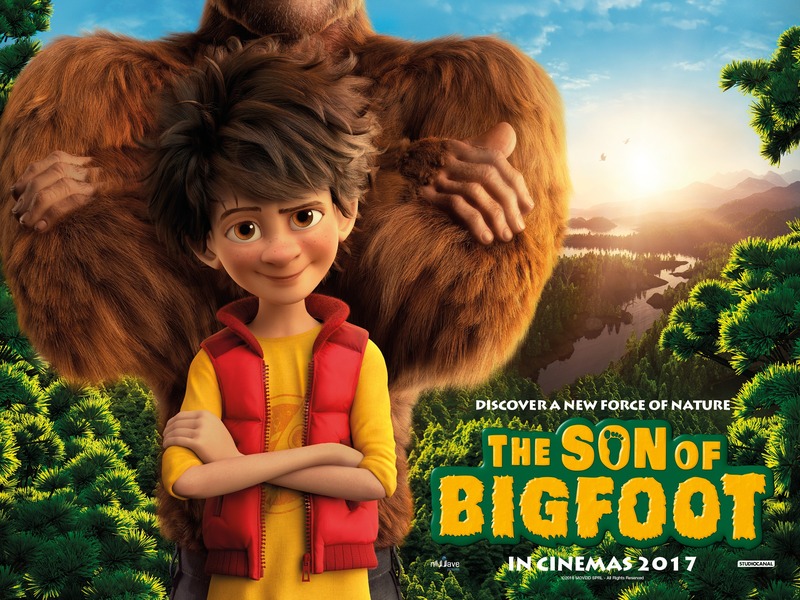 The Son of Bigfoot has been released in China! Check out the cool Chinese poster below. 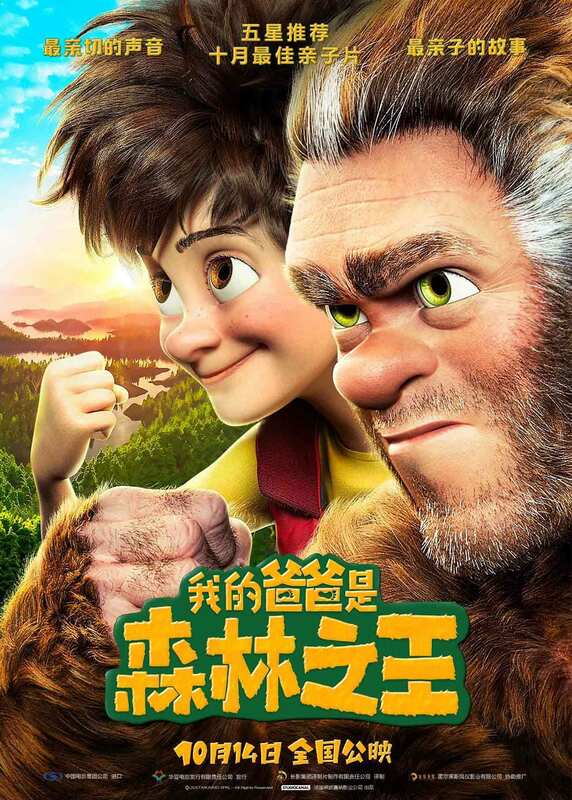 Fun fact: The literal translation of the Chinese text is “My Father Is King Of The Forest” – which makes sense, since Bigfoot is definitely king of the forest! 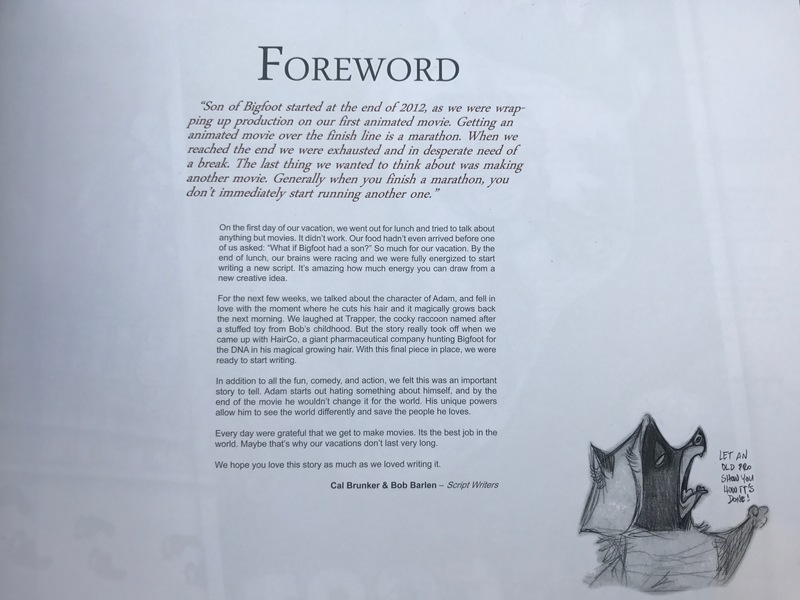 Our friends at nWave asked us to write the foreword to the Son of Bigfoot art book. We just got our copies in the mail, and it looks great! 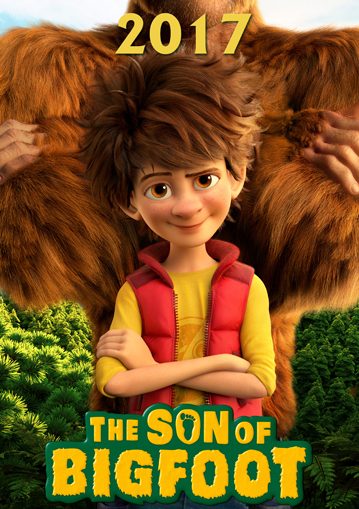 In 2013, we wrote an original screenplay called Son of Bigfoot. We sold this script to nWave, an animation studio in Belgium who made the movie in association with STUDIOCANAL. 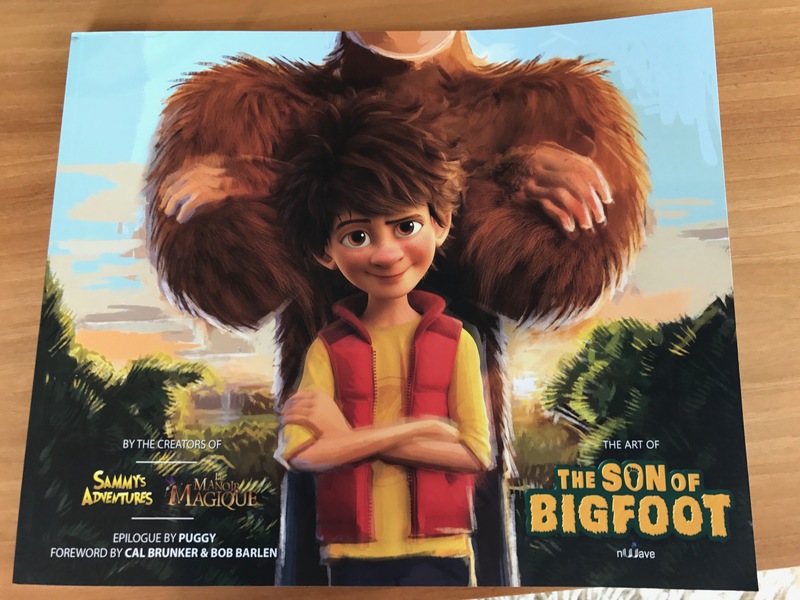 The wait is over, and Son of Bigfoot is finished! 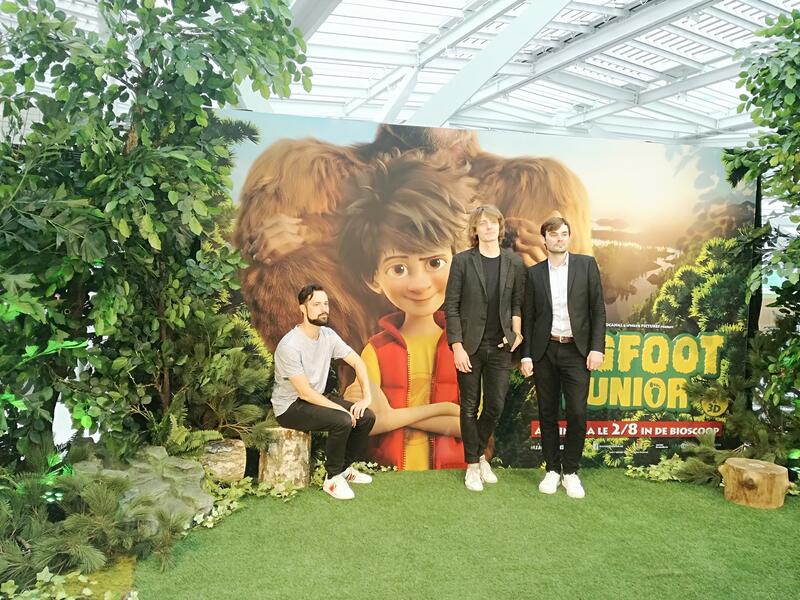 It’s currently playing in European theatres, and the soundtrack by Puggy is available on iTunes and Apple Music. Check out the trailer and soundtrack below! Coming out in 2017, from STUDIOCanal and nWave Pictures!